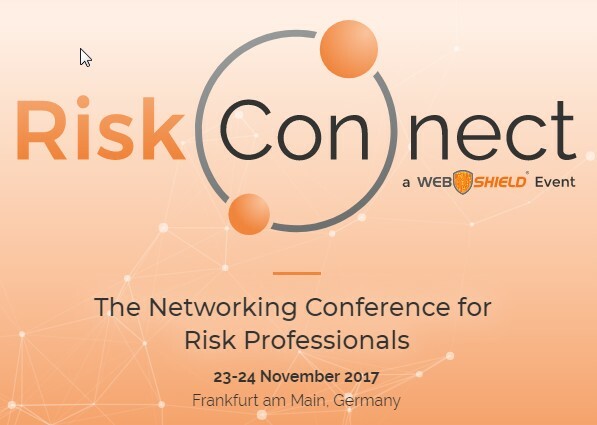 Riskskill a leading risk review organization is going to attend RiskConnect Conference going to be held in Frankfurt, Germany to Support WebShield..
FRANKFURT, Germany - Nov. 18, 2017 - PRLog -- Riskskill is proud to be supporting Webshield at their conference – RiskConnect 2017, in Frankfurt, later this month. The networking conference for risk and compliance professionals takes place at the Hilton Hotel next to the airport at Frankfurt am Main on 23-24 November 2017. RiskConnect a networking conference is organised by Web Shield, which provides on-boarding, underwriting and monitoring solution. These two days conference will be attended by the though leaders of industry experts for discussing the newest challenges faced by the industries. Relevant knowledge and necessary solutions will be discussed which can be used in daily risk assessments of the industry. RiskConnect is the independent platform where risk and compliance experts can share their knowledge and broaden their horizon over the topic so that they can remain ahead of all others over the issues. Kevin Smith of Riskskill stated "Riskskill is pleased to be supporting Webshield at this event, an organisation that has done so much to shake-up the approach to enhanced risk management." He added.., "Riskskill is also honoured to be presenting along side a wide range of influential organisations, including senior risk management representatives from both MasterCard and Visa." Riskskill encourages interested risk and compliance professionals to look for last minute places at this event. Kevin Smith is a highly experienced specialist in Mobile Payments, Wallet payment, Payment Systems, Payment Technology, Payment Fraud Prevention, Risk Review and Due Diligence Investigation Services. Kevin is a member of AIRFA, and associated with RiskSkill (http://riskskill.com/) and UKFraud. New £1 Coin Launch – Do We Still Need Coins?